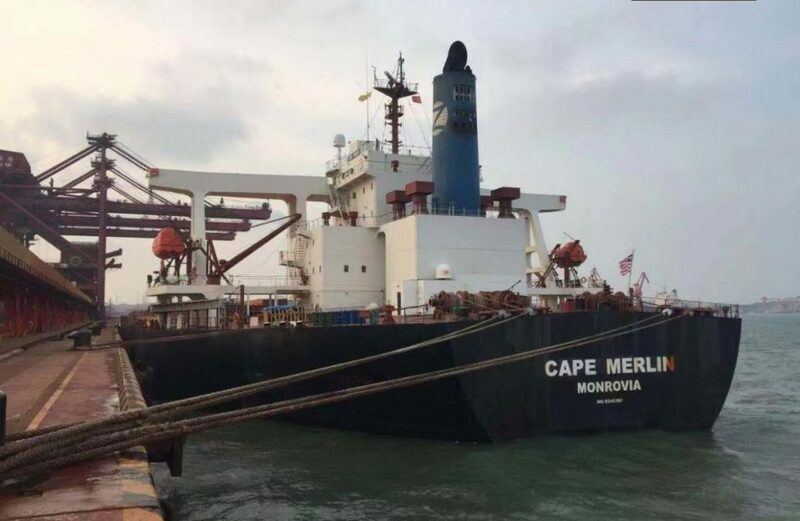 Bauxite miner Alufer Mining Limited announced last week the safe arrival of the firm’s inaugural Capesize shipment of bauxite from its Bel Air Mine in Guinea to the port of Qingdao in the People’s Republic of China. The 203,009-metric-ton shipment was purchased by Chalco Shandong, a subsidiary of the Aluminium Company of China Limited (Chalco), which is among China’s biggest producer of alumina and aluminium. Alufer’s CEO Bernie Pryor hailed the milestone as the first of several shipments under the contract with Chalco. “We are very pleased to deliver our first cargo to Chalco in China, another key milestone for our project. Having recently extended our offtake agreement with them we look forward to providing Chalco with further shipments of quality bauxite over a longer term horizon. Ramp up at the mine is continuing, with an end goal of a production rate of 5.5 million metric tons by next year. To date, over 750 thousand metric tons of bauxite ore have been brought to the surface at the mine and packed onto cargo ships bound to other customers. Located 75 miles north of Conakry, Bel Air Mine is Alufer’s flagship project in Guinea. The mine has an estimated reserve of 146 million metric tons of high-grade trihydrate bauxite with low relative silica. Alufer is one of several companies active in Guinea, which has been the epicenter of a great deal of bauxite mining activity in recent years. The country boasts of a tremendous quantity of bauxite ore, but political and economic problems have long made harvesting the ore quite difficult.